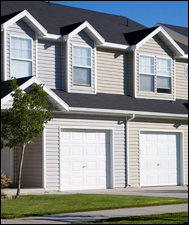 Garage Doors of Cleveland was created to revolutionize the way homeowners buy garage doors. Our proprietary system will help you select the right style, size and color for your home. You can even see a graphical preview of what your home will look like with the new garage doors installed. You can then purchase your garage door online and our factory installers will come to your home to replace your old garage door. This Home Improvement project will be ordered, installed and warranted by one of the country’s leading manufacturers of garage doors.